Database Services offer the best and accurate data cleansing and target the interested audience of your respected product. Get confident and comfortable of the fact that your database will have quality and interested customers giving more meaning to your campaign associated with us. Vividedge Software Solutions Pvt. Ltd.
Itelligence offers you world class Oracle DBA Training Pune. Risen your career by learning database administration & Oracle DBA in Pune. Any database applications such as employee database or MRP(Manufacturing-Resource-Planning) applications for manufacturing units can be developed using stanadard database toolits in combination with programming framework. Oracle 11g DBA training at SMC details and builds a strong foundation for database administration which includes database architecture, installation and creation of a database, database security and user management .These topics will also prepare the participants for the Oracle Certified Associate exam. We are providing MSSQL Server Database Administrator Traning Program. XDuce is an Oracle University Authorized Education Center; We as an organization impart higher learning & is dedicated to provide high quality Database education and management services through Certified Database experts. Warm greeting from Learn Well Technocraft. Jamsab Computers Pvt Ltd offers MS-Access Database Training in Naranpura, Ahmedabad for computer graduates and all students. Innovations Events & Entertainment Pvt. Ltd. 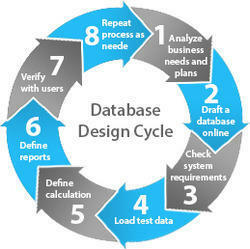 The database is very important in software development. Oracle training is essential for all the software developer. Oracle is widely used in software development. VGT is the oldest centre for Oracle Training in Kota City.